Photo Story: Ghattamaneni Kids Ganapati Pooja! Mahesh Babu & Namrata makes sure their Children respect Indian Traditions and Culture. Gautham Krishna and Sithara were taught the importance of Ganapati Pooja. Just alike any other kids, They offered prayers to Lord Ganesh on this auspicious day. 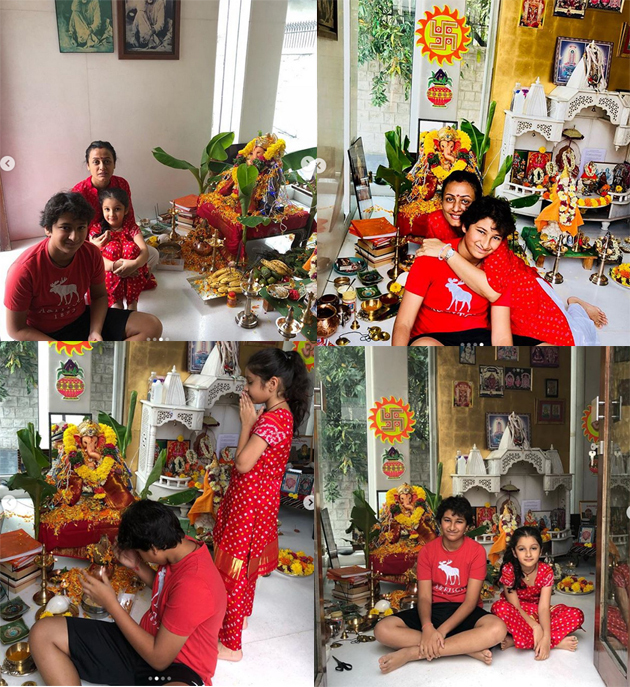 Namrata shared this lovely picture of Gautham and Sithara posing with Ganapati. Not just Mahesh Fans, All the people who got to see the photograph are so pleased to see the two super kids in such manner. Grooming Is An Art! TDP Offer That Congress Cannot Refuse!